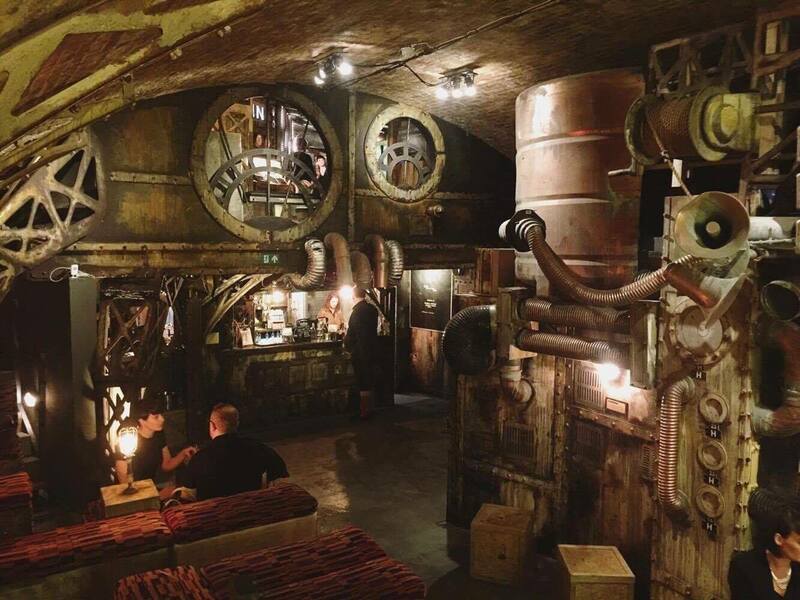 It doesn’t get more bonkers than Gingerline’s Chambers of Flavour. Leave all expectations at the door, because this one-of-a-kind immersive dining experience is out of this world! Okay, you’re probably still a little confused, so let’s go back to the beginning. Since 2010, the wacky guys and gals at Gingerline have been creating nights of mystery and delicious dining. Over the past seven years, their wonderfully bizarre – but strictly top secret – experiences, which fuse together art, performance, food, drink and design, have been loved by Londoners so much that they keep coming back for more. 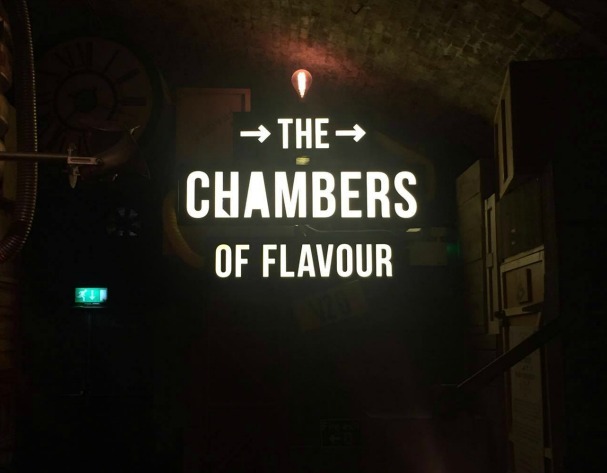 Chambers of Flavour, which was launched in September 2015, marked the flavourological chapter in the Gingerline story. The truly unique concept went down a treat with intrepid explorers, so now they have returned with V2.0 and in all honesty, it was the best experience I have ever had in the capital. But due to the top secret nature of the experience, this review will be completely spoiler free and you’ll thank me for that after you’ve experienced it for yourself, the less you know beforehand, the better it will be! There are five different ‘Chambers’, each with a different theme and each with a different course. Come with an empty belly because the food and drink will almost definitely fill you up. Speaking of drink, apart from a welcome gin, you pre-order your booze for the journey at the bar outside the chamber and carry it with you throughout. There are no bars inside in the chambers, so make sure you don’t forget to pre-order. Oh and it’s best to not go overboard with the amount you get because you’ll be too preoccupied to drink loads anyway! Being a veggie, I was a little worried about this aspect of the dining experience. But I really shouldn’t have been. When you book your tickets, you’ll be able to tell the team any dietary requirements you have. So when you head into the chambers, your food has already been accounted for. You also wont feel like you’re missing out, essentially you’ll be chowing down on food very similar to your fellow explorers. Be warned though, the food is not for picky eaters. Once you’ve received your secret location on the day, prepare yourself to leave any inhibitions at the door. Trust me, you’ll have loads more fun if you brush of the embarrassment and get involved as much as possible. There is a fair amount of audience participation, so just go with it! Tickets for Chambers of Flavour V2 are now sold out until August 2017! But don’t worry, they have exciting plans in the works. To keep up to date with all the interdimensonal news, sign up to Gingerline’s mailing list via this magical link.